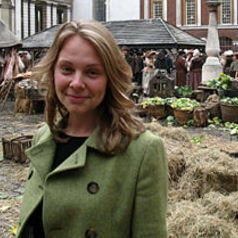 Hannah is a Senior Lecturer in the History Department and member of the Centre for Eighteenth Century Studies. Her research interests lie in the social, political and material history of Britain in the long eighteenth century (c.1688-1830). She is currently the convenor of York's Public History MA and part of the University's Institute for the Public Understanding of the Past. As an adviser, Hannah has worked on film, theatre and television dramas, and collaborates closely with producers, directors, script writers and other crew to interpret primary research materials for production development. Her credits include The Duchess, The School for Scandal (Bath Theatre Royal) and the BBC productions, Death Comes to Pemberley, Jamaica Inn and Poldark (Series 1, 2 & 3) and other projects currently in pre-production.